Politicians love to grandstand. In the age of Trump, quite a few elected officials have gone off the deep end with their soundbites and statements. 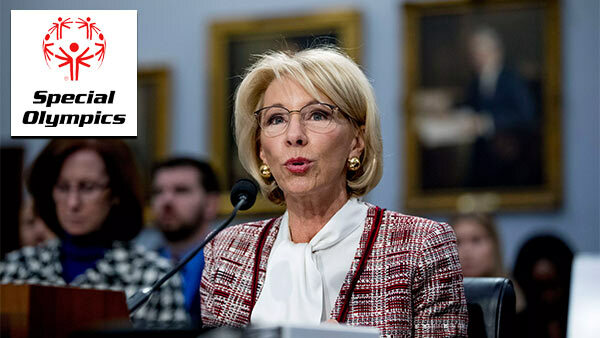 Betsy DeVos, the secretary of the U.S. Department of Education is a favorite target of the left. It’s not unusual to see comments on websites and social media calling her an evil witch, heartless and sub-human. Some flatly state she should be in prison. But this post is not about DeVos. It’s about the absurd claims made by statist Democrats who blow things totally out of proportion with outrageous soundbites, and the media who are complicit through their total lack of intellectual honesty. First, let me start with a disclaimer. I think the U.S. Department of Education (DOE) should be shuttered tomorrow*. Totally close it down. I realize that will not happen, but am willing to ensure the process gets started by eliminating special earmarks to start. That is what the proposed budget does. Many of the earmark cuts – 29 programs totaling $6.7 billion – are for programs that show little or no evidence of meeting objectives, or programs more appropriately supported through local, state and private funds. Such activities are better supported with other Federal, State, local, or private funds. Let’s ask why most of the news articles about DeVos, the DOE and the Special Olympics dive into what percentage of funding the DOE provided to the organization in the past. 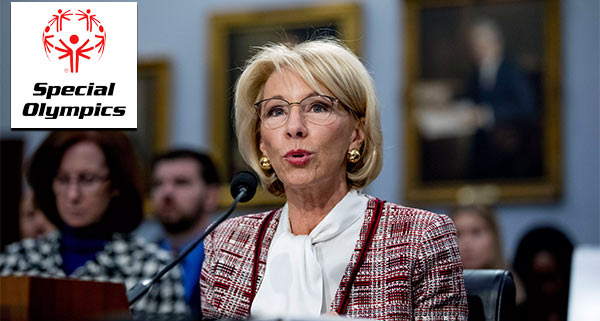 Few – and certainly not one politician who “grilled” or “blasted” DeVos – asked about it. I started the research the media should be doing to inform the public. I did not determine the percentage since it would take too much time to collect the data. From what I can gather this morning, Special Olympics in the USA is made up of at least 50 individual 501(c)3 non-profits, plus the home organization based in DC. Some states have multiple organizations filing returns independently. Our donations to this great organization are tax deductible. Contributing our time is the fun and rewarding part. On the revenue side in 2017, the main organization took in $116 million, while providing $28 million in grants and assistance to what I assume would be the state organizations. Salaries and benefits at the main organization in 2017 totaled $23 million. The Special Olympics national organization earned $5.7 million in investment income, not included in the $116 million. This is from their Form 990, Returns of Organization Exempt from Income Tax for 2017. I took a look at the publicly disclosed Form 990 for just eight state Special Olympic organizations. Line 8 on the form lists contributions and grants received. The numbers do not represent the total revenue, as they do not include program service revenue, investment income, or “other” income. These were the most recent 990s I could find for each of the states listed, some were 2016, some were 2017. So the total for contributions and grants just for the eight states I researched is about $50 million. Do you think my information is important for this story? Does it provide additional insight? Did you learn something? Politicians don’t care about insight, and have no interest in getting the full story to you. They would much rather have you only receive the information and soundbites they want you to hear. They grandstand knowing the media will support their narrative. It’s journalistic malpractice. But on Tuesday, his athletic fate suddenly seemed to slip further from his control. Is that even news? That’s a political hit and nothing more. Jeff Bezos, the owner of the Washington Post, is worth well more than $100 billion. Just one of Bezo’s New Glenn rockets costs $2.5 billion. This entire spectacle is just that. Do your research. Don’t trust what politicians say and remember most of the media is part of – if not absolutely running – the establishment left. * We already have Departments of Education at the school, local, regional and state levels. This is why – in my opinion – the entire department is redundant. I wrote about shuttering of the federal DOE back in January 2012 and December 2011. Read those posts for additional insight.